Add some Silver to your Cuffs! 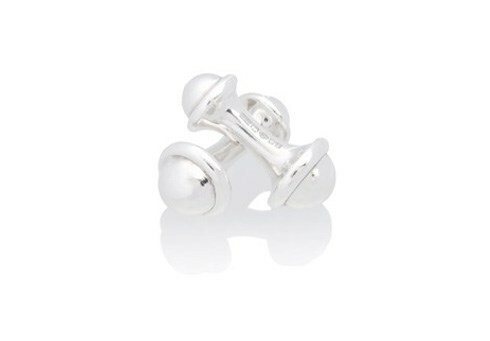 Classic yet modern barbell-shaped cufflinks in solid sterling silver. 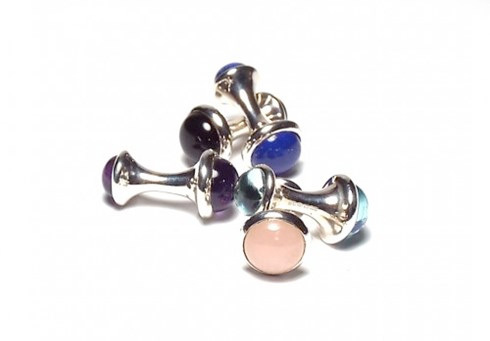 These sterling silver cufflinks are the perfect present for the stylish gentleman as well as for the lady who prefers to wear more formal shirts, as they fit both ladies’ and mens’ shirts with a double cuff. They can be worn in a very formal context with black tie, with a business outfit to the office or with a more casual shirt. The sterling silver cufflinks are handmade of solid 925 Sterling Silver, are hallmarked by the London Assay Office and carry the maker’s mark ‘MMzS’. Dimensions: The measurements of a cufflink are: 1.5cm long, and 0.4cm wide at the narrowest point. The diameter at the ends is 1.2cm and 1cm respectively. Free delivery on any orders in the UK. Standard delivery times (2 – 3 working days) apply to cufflinks with out engraving, please allow for 4-6 weeks for engraved cufflinks.